A busy northwest Georgia bridge and the massive colony of bats that call it home are both better off thanks to recent work that preserved the structure and its wildlife. The Interstate 75 bridge near Calhoun averages 72,000 vehicles a day. Yet it also doubles as the largest known bridge-roost for bats in the state, according to Katrina Morris, a senior DNR wildlife biologist who leads bat research for the agency’s Wildlife Conservation Section. 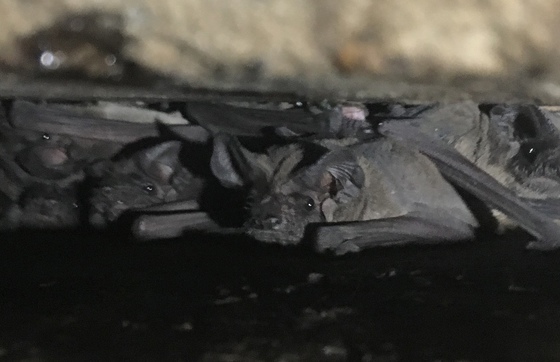 “Thousands of big brown and Brazilian free-tailed bats are under the bridge year-round,” using it for shelter, hibernation and raising their young, Morris said. That combo of interstate infrastructure and protected mammals posed a challenge for the Georgia Department of Transportation: How to complete maintenance – preserving the road surface with a protective coating and replacing expansion joints – while sparing the roost and the bats crowded into the bridge joints underneath? The answer, suggested DOT Transportation Ecology Special Projects Coordinator Sujai Veeramachaneni, proved efficient and effective. Learn how DOT and DNR solved this issue for the benefit of people and bats. Watch the project in action. Georgia Bat Week is on! Proclaimed by Gov. Nathan Deal as Oct. 24-31, Bat Week recognizes the ecological roles that bats play and the threats they face. Up to 31 percent of North America’s bat species are at risk. Habitat loss and white-nose syndrome are key threats. White-nose is a fast-spreading disease that has killed millions of bats and ravaged populations in north Georgia since it was documented here in 2013. What can you do to help conserve bats and other wildlife and natural habitats? Buy or renew DNR eagle and hummingbird license plates. Contribute to the Georgia Wildlife Conservation Fund income tax checkoff. Volunteer for wildlife work with DNR. Follow the Georgia Bat Working Group to learn about bats and Bat Week events. Join DNR on Instagram @georgiawildlife for Georgia Bat Week. 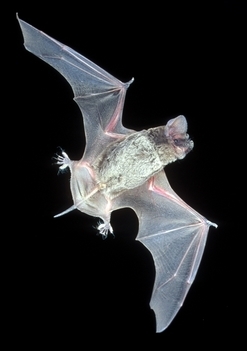 Bat biologists are taking over to talk all things bats through Halloween. And don’t miss the Ask A Biologist Q&A session this Monday starting at noon. Just click our logo to submit your question for biologist Laci Pattavina. The chipping sparrow is one of the birds that is likely to visit my feeders throughout the year. If you live north of the Fall Line, this may be the case in your backyard, too. If you live in south Georgia, more than likely you see chipping sparrows primarily in the fall and winter. Although practically everyone in the state sees chipping sparrows at some time, most do not know its name. Many simply call it a sparrow. 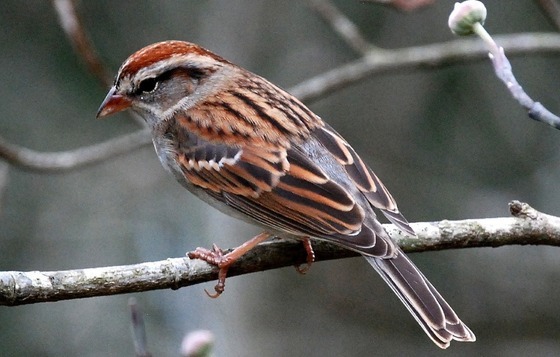 Did you know chipping sparrows will sing up to 330 times an hour? Read Terry’s column for more surprises. Eastern hellbenders are often called North America’s largest salamander. But if you define largest as longest, two-toed amphiumas – which can reach almost 4 feet long compared to hellbenders at 29 inches – win hands, or toes, down. Amphiumas (pronounced like this) are strange-looking amphibians with eel-like bodies, four tiny limbs, a lineage dating to the late Cretaceous and a love for swamp muck. “They are a true swamp animal,” naturalist Dirk J. Stevenson says. Stevenson, of Altamaha Environmental Consulting (“Monster snappers,” Sept. 25), caught two two-toed amphiumas while doing DNR surveys for reptiles and amphibians at Alligator Creek Wildlife Management Area last week. Watch! Two- and one-toed amphiumas – the only other species is the three-toed – are found in Georgia. The two-toed is the largest and most common, living in aquatic and wetland habitats throughout the Coastal Plain and in parts of the Piedmont just north of the Fall Line, according to Amphibians and Reptiles of Georgia. 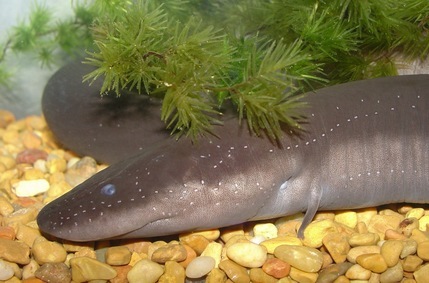 Sometimes called ditch eels or Congo eels (although eels are fish). Occasionally confused with greater sirens, which have bushy external gills and front but not hind limbs. Have pores on their sides that mark a lateral line system used to sense vibrations and likely detect prey. Usually breathe by gulping air at the water’s surface. Although rarely aggressive can inflict a significant bite if handled carelessly. 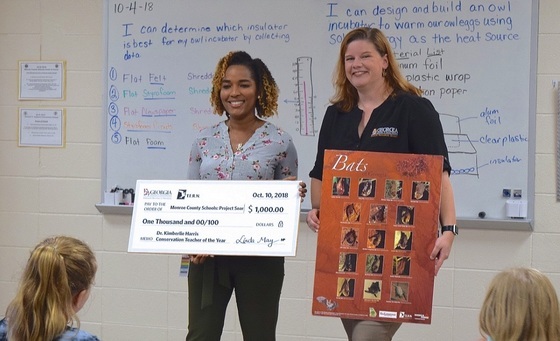 Teachers and students statewide can explore Georgia’s wildlife and students’ artistic interests through the 29th annual Give Wildlife a Chance Poster Contest. This year’s competition for grades K-5 emphasizes pollinators and how they help produce food for wildlife and people. Eastern black rails, a small, secretive marsh bird, are proposed for listing as threatened under the Endangered Species Act, with the U.S. Fish and Wildlife Service citing declines of up to 90 percent in some Atlantic Coast populations. Over the past two years, surveys organized by DNR checked hundreds of sites in south Georgia but did not document any black rails. The Atlantic pigtoe, a freshwater mussel native to waters from Virginia to Georgia, also is proposed for federal listing as threatened. The Fish and Wildlife Service’s related proposal to designate critical habitat excludes South Carolina and Georgia -- the species was last collected here in 1991. Rare Radford’s mint appears on the upswing at Townsend Wildlife Management Area. 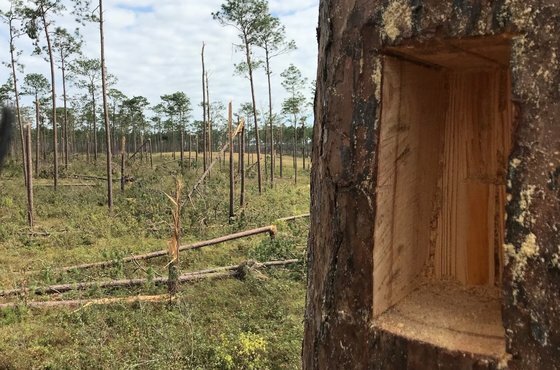 Annual monitoring keyed to the careful removal of an overstory of invasive sand pines counted nearly 4,000 plants on the WMA this fall, stemming a decline at the site for a plant known worldwide only from McIntosh County. CoastFest drew an estimated 9,400 people to Brunswick’s Mary Ross Waterfront Park Oct. 6. The annual celebration centered on wildlife and conservation was moved this year from DNR’s coastal headquarters to the downtown park to better accommodate the crowds. Youth ages 8-16 with an interest in birds are invited to the Youth Christmas Bird Count Dec. 8 at Charlie Elliott Wildlife Center. 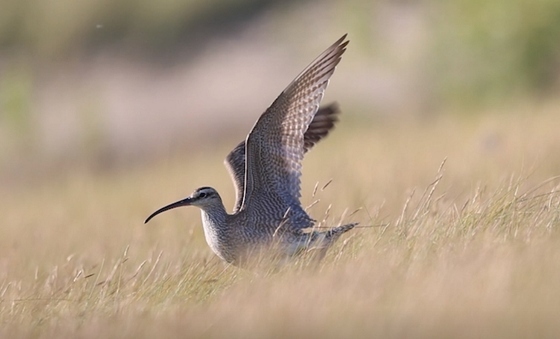 While traditional Christmas bird counts run eight hours long, this one is for birding newbies and others, at only two-and-half hours, expert-led and featuring lunch, field guides and binoculars. A draft black bear management plan is the focus of an Oct. 30 public meeting in Waycross and open for comment until Nov. 5. The long-term strategy, also reviewed at meetings in Perry and Young Harris this month, is aimed at conserving black bears while providing sustainable harvest, promoting the species and minimizing human-bear conflicts. You have never seen a hellbender photograph like this one by David Herasimtschuk, named a 2018 Wildlife Photographer of the Year winner by the National History Museum. Shot in Tennessee’s Tellico River, the image captures a hellbender catching a northern water snake. Names in the news: The DNR Wildlife Resources Division has named wildlife biologist Emily Rushton the statewide turkey project leader. 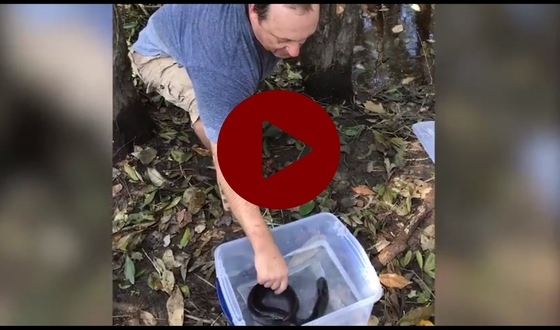 Rushton has worked as a private lands biologist for the division since 2013 and as a Florida Fish and Wildlife Conservation Commission biologist the previous five years. Atlanta Audubon Society landed a $50,000 grant from the Disney Conservation Fund for Project Safe Flight Atlanta. The grant, the chapter’s second grant from the fund, will help Atlanta Audubon “expand Project Safe and work with local stakeholders to implement solutions to reduce the number of resident and migratory birds killed by building collisions,” Atlanta Audubon Executive Director Nikki Belmonte said. Dec. 11 – Feral swine workshop and trapping demo, 9 a.m.-1 p.m., Pierce County Ag Services Building, Blackshear. Register. Other workshops: Dec. 18 (Dawsonville), Jan. 7 (Quitman), Jan. 29 (Hawkinsville). Jan. 26 – Flatwoods Fire and Nature Festival, 10 a.m.-3 p.m., Austin Cary Memorial Forest, Gainesville, Fla.
A two-day search for amphibians and reptiles on a south Georgia wildlife management area turned up some cool creatures this month. 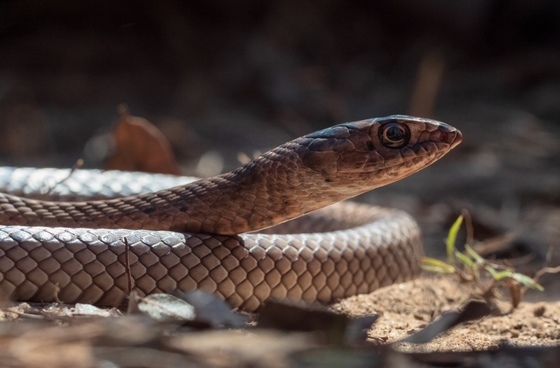 Nine amphibian and 13 reptile species (including the coachwhip above) were documented during the Places You’ve Never Herped event held by The Orianne Society. 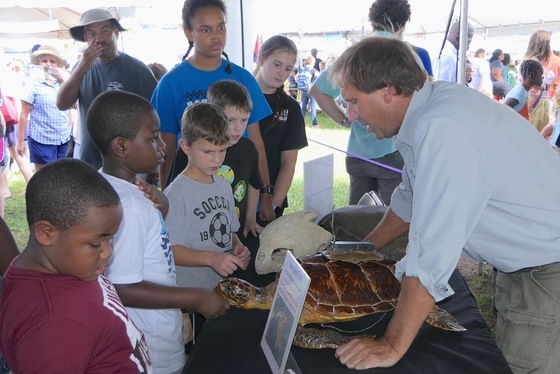 Highlights included a large greater siren, loggerhead musk turtles and a group of young alligators, writes Houston Chandler, species coordinator for Orianne's Longleaf Savannas Initiative. Chandler says the “bio-blitzes” help survey large sites for animals that often aren’t well documented and through time in the field raises awareness of the nonprofit’s conservation work with rare reptiles, amphibians and habitats. 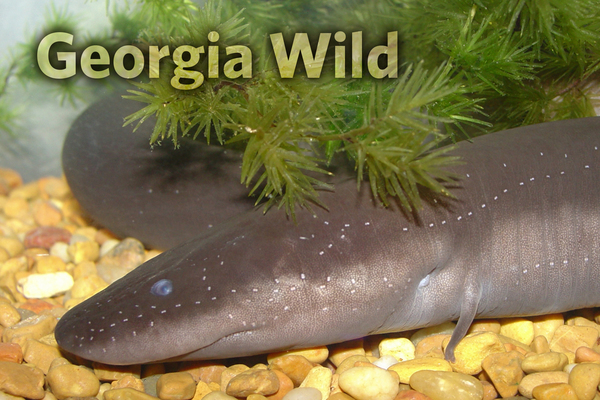 Georgia Wild© is a free newsletter focused on conserving wildlife not legally fished for or hunted, plus Georgia’s native plants and natural habitats. DNR Wildlife Resources Division Wildlife Conservation Section. All rights reserved.